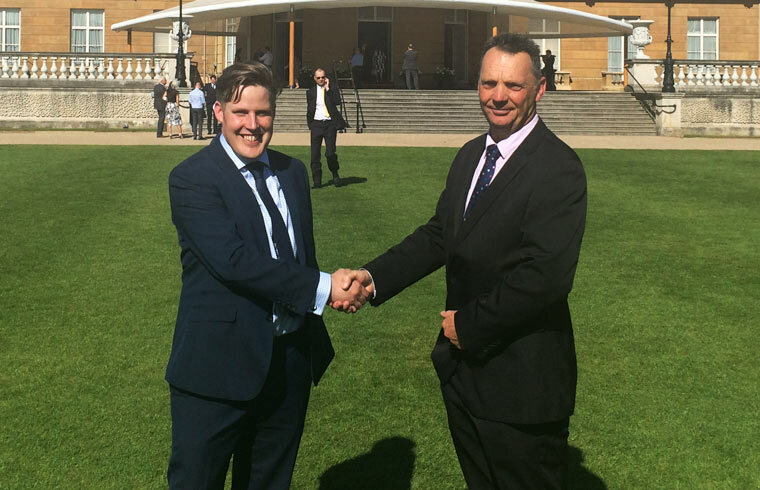 Simon French, MD of Mildren Construction based in Hum near Christchurch, and his health and safety manager Richard Hardy, recently attended an afternoon tea at Buckingham Palace. The Royal Garden Party was hosted by Lord McKenzie of Luton, president of The Royal Society for the Prevention of Accidents (RoSPA), and HRH The Duke of York attended as The Queen’s representative to celebrate this centenary. The event was held to mark a century of hard work and dedication to saving lives and reducing injuries, whilst poignantly remembering those whose lives had been lost or changed through accidents. Guests were treated to traditional afternoon tea with the Yeomen of the Guard holding ground and two military bands providing music throughout the afternoon. Simon French commented afterwards, “Richard and I had an amazing day and were very honoured to be invited to such an auspicious occasion. “RoSPA was formed to bring down the number of injuries caused by accidents. Then, 60 years ago the Society created its own awards scheme to recognise the outstanding health and safety record of businesses and organisations from the UK and overseas. Mildren gives the highest priority to Health and Safety and we have been fortunate to be Gold Award winners for 7 years in a row,” he said.